We are doing the best we can....and some days we are a hot mess. And, that's ok. 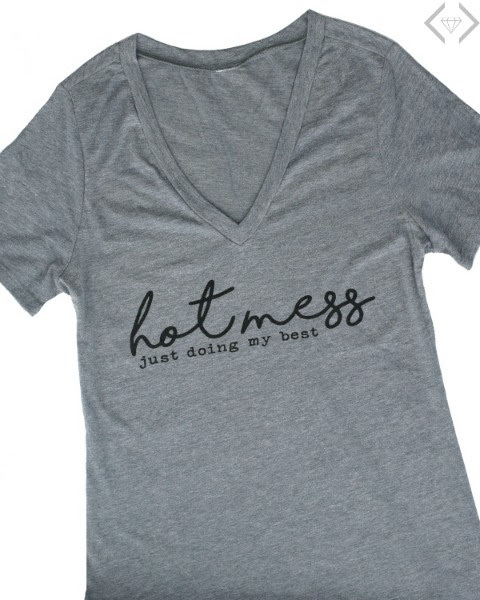 This shirt shares a message we want to shout from the roof tops: I’m a hot mess, just doing my best and so is everyone else! Just Doing My Best Tee for $15.95 + FREE SHIPPING! The code is BOLD12 and it will make the tee just $15.95 + FREE SHIPPING. The code is valid 4/26 through 5/2.